Need an easy and quick way to make your Memorial Day weekend bright and festive? 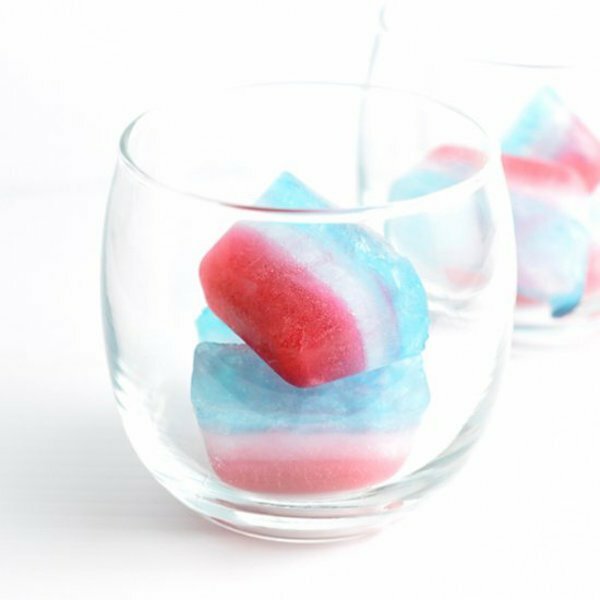 Impress your friends, neighbors, and kids with red, white and blue ice cubes! It's a fun and easy way to dress up a boring water or lemonade at your next summer party. Look how easy these steps are! Fill an ice cube tray a third of the way full with the red fruit juice; freeze completely, at least 2 hours. Repeat layers with the water, and then the blue juice, freezing completely in between each color. Serve with regular chilled water, seltzer water, lemon-lime soda, or even lemonade. Try the recipe out this upcoming Memorial Day! Recipe taken from here.